*MESSAGE TO ALL ATHLETES & COACHES: Before you go into "Regular Season ", Spring Training, OTA's or Mini-Camp ; GET THE INFORMATION THAT CAN IMPROVE YOUR SITUATION! *A "Must-Read" for every ATHLETE, COACH, BUSINESS OWNER, DRAFT-PICK; ATHLETIC DIRECTOR, GAME OFFICIAL & TEAM OWNER. An Endless Wealth of Knowledge! "THE KNOWLEDGE THAT THEY DON'T TEACH IN COLLEGE! " 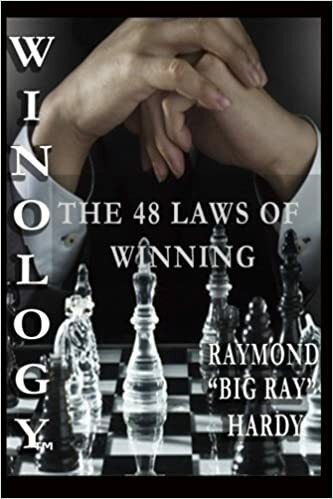 WINOLOGY (TM): "The 48-Laws of Winning "